From the moment you step on our lot until the time you drive away in your next car, your buying experience with Arnaou's Auto is our number one priority. We encourage you to use the expertise and resources of our sales staff; they are here to help you find the right car at the right price. Call us today at 817-264-3913 to schedule your test drive! 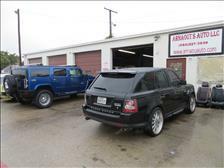 Arnaout's Auto LLC. is a family-owned and operated dealership that has been in business since 2007. We serve Arlington and the Metroplex from the same location for years. Our inventory is serviced before sale. From oil changes, to new belts and tires, new brakes, shocks/struts, new timing belts and water pumps, etc. We'll do our best to make you happy and at the same time save you money when you buy or service your vehicle at our dealership. 99% of our inventory comes from the North Texas area.